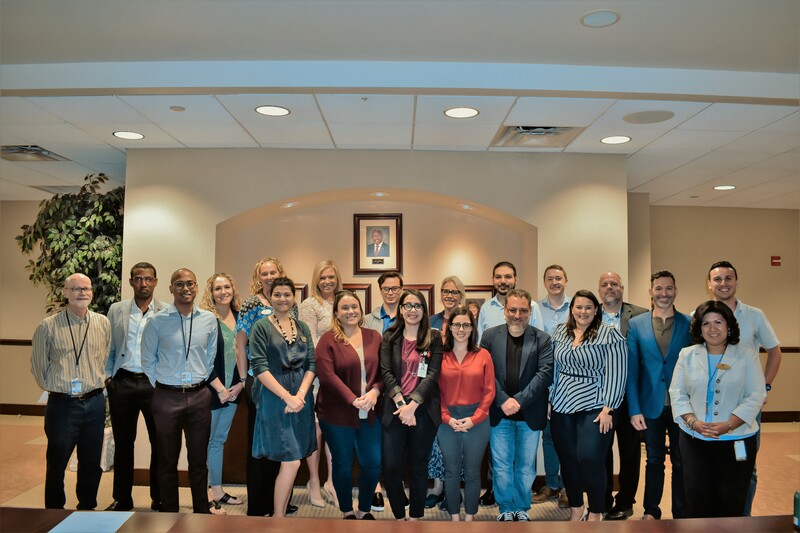 Orange County’s Social Media and Technology Workgroup recently met with Mayor Jerry L. Demings to share ideas on digital trends, best practices and community outreach plans for important initiatives including affordable housing and quality of life issues centered on transportation. “Technology and innovation is shaping the culture and community in Central Florida,” Mayor Demings shared with the group. The Social Media and Technology Workgroup was established in 2014 as an innovative think-tank to share best practices and emerging technologies with the tech community. Spanning multiple disciplines, the Workgroup allows Orange County to foster better communication and engagement with citizens and guests via social media and technology. Since being elected in December 2018, Mayor Demings has focused on creating a community culture of collaboration, innovation and inclusiveness. As outlined in his Transition Team Report, technology is a pillar of his administration. Additionally, Mayor Demings and his team are focusing efforts to improve Orange County’s technology ecosystem and attract new talent. The Workgroup has expanded to represent a broad range of community partners, municipalities and stakeholders spanning the blogosphere, education, health, technology, hospitality, arts, culture and transportation sectors. The Workgroup has representation from the University of Central Florida, Rollins College, Valencia College, Heart of Florida United Way, Visit Orlando, Orlando Ballet, Dr. Phillips Center for the Performing Arts, Visit Orlando and the Orange County constitutional offices. The Social Media and Technology Workgroup plays a key role in reaching residents during emergencies, severe weather situations and signature Orange County events including the annual State of the County, Economic Summit, Florida Simulation Summit and the Oath of Office ceremony.